The House of Representative has approved N30,000 as the new minimum wage for workers in the country. The lawmakers passed the bill during Tuesday’s plenary presided over by the Speaker of the House, Yakubu Dogara. They approved the figure after the bill was read and passed for the third time on the floor of the lower chamber of the National Assembly in Abuja. Prior to the passage of the bill, the House adopted the report of the ad-hoc committee set up to look into the bill presented to the National Assembly by President Buhari. It said it decided to adopt the report of the tripartite committee because of the obvious difficult living conditions in the country. The lawmakers inserted a clause in the bill which makes it effective from the date it is asserted to by the President. They, however, retained the original clause in the bill which excluded employers of less than 25 people from paying the new minimum wage. In the face of the recent development, the bill would be sent to the Senate for concurrence. Earlier, the lawmakers concluded debate on the 2019 Appropriation Bill, as well as read and passed it through the second reading. They consequently referred the bill to the House Appropriations Committee and other related sub-committees for further actions. 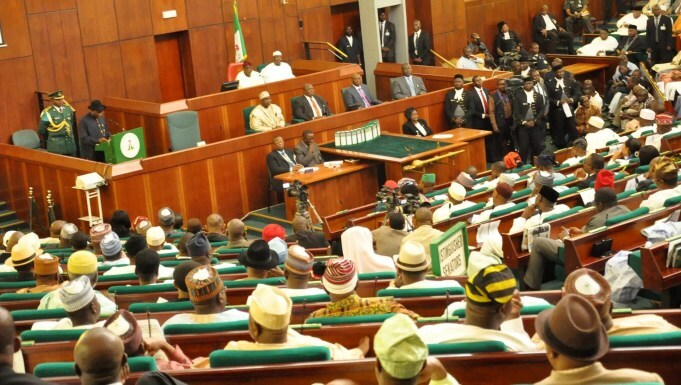 The House then adjourned plenary till February 19, after the Presidential and National Assembly elections.